The view looking down on High Camp. 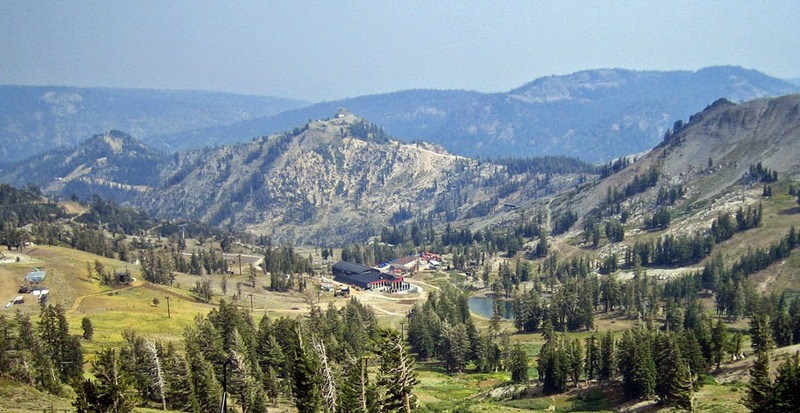 Saturday, August 2 marks the annual trek up the service road from Squaw Valley’s Base Camp at 6,200 feet to the Base Camp at 8,200 feet. This 3.6 mile climb offers a considerable challenge for runners who refuse to walk a step and good quality exercise for leisurely hikers. The 9:00am race includes two aid stations, awards, raffle prizes, live music, souvenir shirts (while they last), and a souvenir beer glass with beer at High Camp. The views are good near the bottom and stunning at the top. Participants can choose to run/walk down after the finish or ride the cable car (free with race entry) back to the start. Entry to the race is still open. You can register race day or online at Athlete in you or Active.com. The winning men’s time last year was 29:21 by Michelino Sunseri of Kings Beach. The fastest woman was 35:37 by Kristin Walstad of Alta.